Major price reduction! 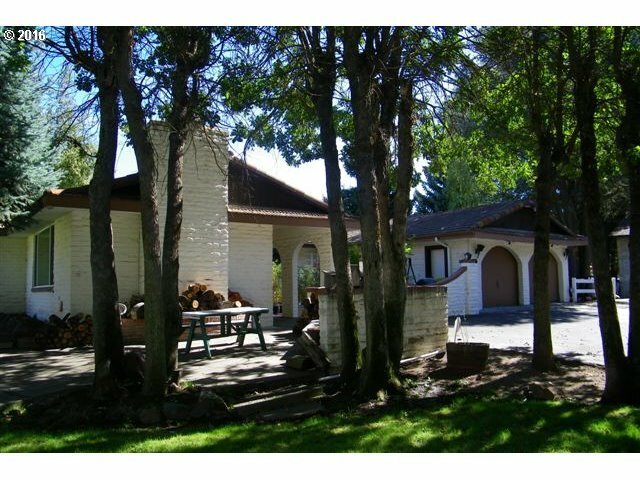 Beautifully updated throughout, circular driveway for easy access. Adjacent 3.6 A and this property for $275, 000. 3 new Mitsubishi ductless heaters/air conditioners, gas frpl insert. New master suite has French doors to patio, adjacent study could be a nursery, added closets, walk in tub in master bath. Granite kitchen countertops, HUGE pantry, marble floor in hall bath. Six car garages include RV bay, shop space.